People love Umbria and Tuscany for many different reasons. Many come to explore the great countryside, others come in search of wonderful cities of art and fine culture, some descend to enjoy the simple yet wonderful cuisine and wine. Walkers enjoy the mountain paths and the immense woods, cyclists the rolling green hills and summer vacationers the sun, the Umbrian lakes and the Tuscan sea coast. Tuscany is certainly known as possibly the greatest repository of art in the world, from extraordinary paintings and sculptures to frescoes and architectural masterpieces. 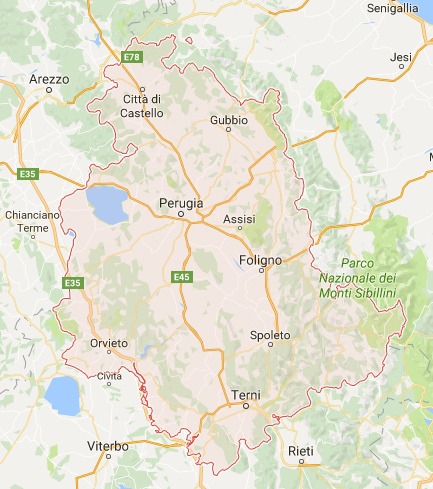 Umbria, on the other hand, is literally the green heart of Italy, being the only landlocked Italian region. Umbria and Tuscany share the beauty of their landscape, the rolling green hills, wide forests, tumbling rivers and lush farming land. There are millions of things to see and do in Tuscany, the difficulty is really where to start. Florence alone would be enough to promote this region as one of the most-loved destinations throughout the world. 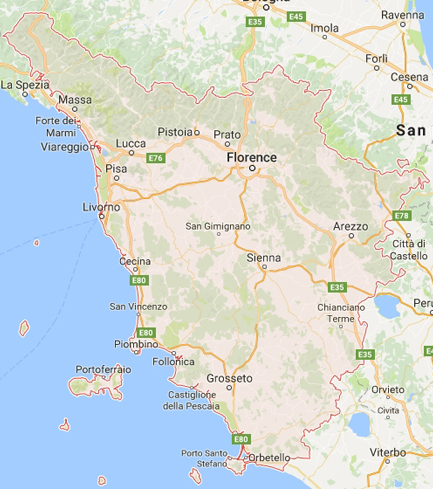 But Tuscany also means Siena with its Piazza del Campo and the legendary Palio; Pisa with her Leaning Tower and the Baptistery; Arezzo with her Parish of St. Mary; Livorno with its old fortress; Lucca with her historical walls; Chianti with her sweetness and the traditional wine culture. But almost even more fascinating is the so-called Minor Tuscany, scattered with little villages of a medieval atmosphere: San Gimignano, Volterra, Montepulciano and Pienza, daughter of the Renaissance. Having discovered Florence and Siena, visitors often realise that neighbouring Umbria has an unchanged beauty. Indeed, Umbria has for a long time been frozen in time but has seen a new lease of life in recent years. Retreating into fortified hill towns and pulling up the drawbridge may have ossified Umbria, but it leaves unspoiled medieval jewels to discover. Visitors of Umbria have an impressive menu list with Assisi attracting pilgrims to its “Basilica di San Francesco”, Terni, the birthplace of Saint-Valentine, Orvieto, not to be missed because of its Duomo being one of Italy’s finest Gothic buildings and fascinating underground tours, Spoleto with superb Romanesque churches and two kilometres of fully intact city walls, Gubbio, a picture book of pink houses with orange terracotta roofs and a lovely medieval “centro storico”, Montefalco, the “balcony” of Umbria, and Todi, the classic Umbrian hill town which has become a fashionable retreat for Rome’s art and media community. From restaurants to farmhouse residences, wine bars, local speciality festivals and more, visitors to Tuscany and Umbria have a broad range of tasty offers. Mentioning Umbria and Tuscany to an Italian will provoke the lip smacking comment: “You’ll eat and drink well there”. Yet, the most noteworthy characteristic of the Tuscan and Umbrian cuisine is its simplicity. It relies strongly on seasonal products such as mushrooms and wild asparagus, on wild delicacies, on vegetables, cereals and regionally reared meat such as lamb, pork and game. Gourmands will certainly adore local delicacies which include, among others, wild boar and the highly-prized truffle. Menu’s are rich and full of treats like soppressata, prosciutto ham and ribollita or spelt soup. Famous pasta dishes like pappardelle with ragù and tomato pappa are prepared and served with tradition, care and love. The Florentine steak is sumptuous, while among the desserts, cenci, panforte and cantucci must really be tried. Tuscany’s and Umbria’s unique landscape have made them ideal vine-growing regions. The Tuscan Chianti wines are world famous. Until recently, Umbria has remained fairly isolated, thereby ensuring that its centuries of tradition in this field remained intact. Umbrian wines have now reached excellent standards. Umbria and Tuscany enjoy a typically Mediterranean climate, dry and warm during summer and mild during winters. Tuscany and Umbria have ideal conditions year round for exploring the beautiful countryside with low humidity and relatively pleasant daytime winter temperatures. Fine, dry weather commences in early spring with clear skies continuing until November making Umbria and Tuscany a perfect mid- and low season destination. Although fine and dry, summertime can see some brief rain showers which normally occur in the early summer months when the rich countryside vegetation is at its most colourful. Temperatures during summer reach 26 C° on average and the sun invariably shines from dusk till dawn. This is an ideal climate for exploring nature on foot or bicycle. Springtime sees crisp, clean air quality, blue skies and pleasant days at 18 C°. During winter months, the climate becomes cooler although temperatures rarely ever fall below freezing. With a 5 – 8 C° during the day and sunshine for 4 hours a day, activities and sightseeing can still be enjoyed without a chill factor and early mornings are often accompanied by bright blue skies. Umbria and Tuscany offer the kind of holiday where you can take life slowly, savouring the local specialities, pottering around small medieval towns and really getting to know Italy. The more you come to know the region, the more extraordinary Umbria and Tuscany appear. Enjoy.